The coveted AfterBite. 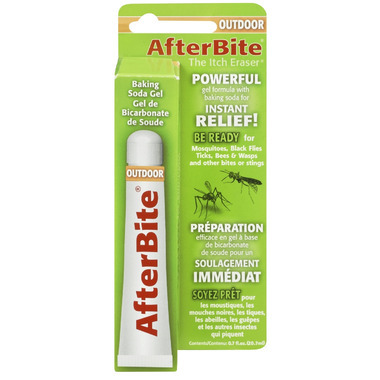 The 'Outdoor' formula seems to be the only post-bite treatment that works for my highly-reactive husband, and we're fairly certain that it's due to the ammonia content. Smells a bit funky and can sting a bit if the bite is a raw, but definitely works. Great stuff and it does not run off, stays put!